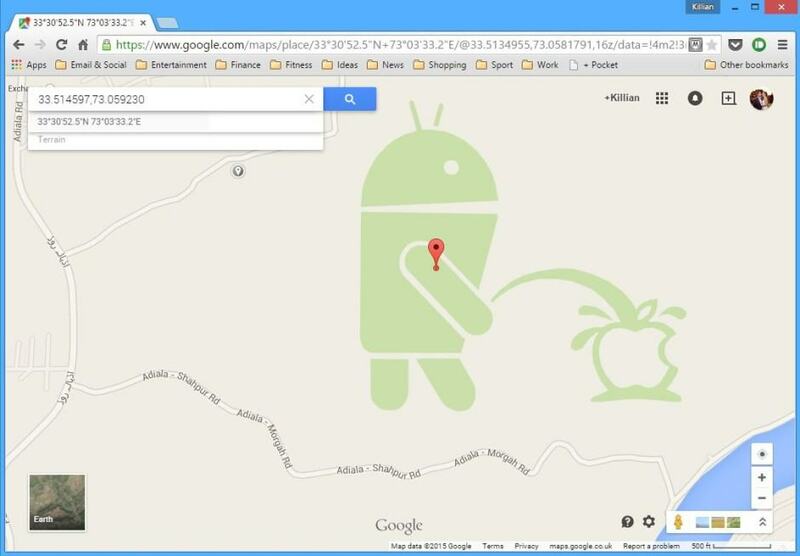 Android lovers couldn’t have been more excited to see the Android bot peeing on an Apple logo in Google Maps last month, but Google was far from pleased with the coverage. The company has now suspended the Map Maker service that allowed pranksters to create the image — and more more like it. We were one of the first to cover the finding in late April, but it quickly made its way around the web — and to national news outlets in the U.S., the U.K., and other countries. Google removed the image relatively quickly, but it raised concerns about the company’s Map Maker service. Map Maker allows “Google Reviewers” and trusted users to edit Google Maps. It’s designed to make Maps more accurate and to keep the service up to date using crowd-sourced information, but of course, a small few took advantage of the Map Maker to play pranks. As a result, Google has decided to suspend public Map Maker submissions until it has developed a new moderation system. “As some of you know already, we have been experiencing escalated attacks to spam Google Maps over the past few months,” writes Pavithra Kanakarajan, a member of the Maps team, in a post on the Google Map Maker forum. The suspension won’t actually begin until tomorrow, May 12, so you can still make any Maps edits you wish to make before then. But know that if it’s not a genuine edit, it’s not going to get published, so don’t waste your time.